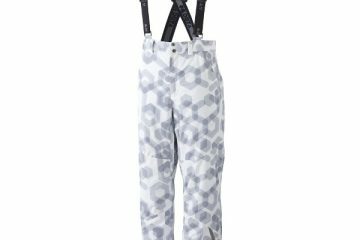 Polka dot ski pants – how ridiculously cool is that? 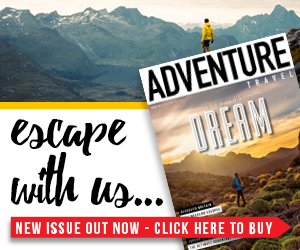 When these Tog 24 Ski Pants arrived at Adventure Travel HQ I hadn’t seen so many drooling girls since Daniel Craig got out of the water. 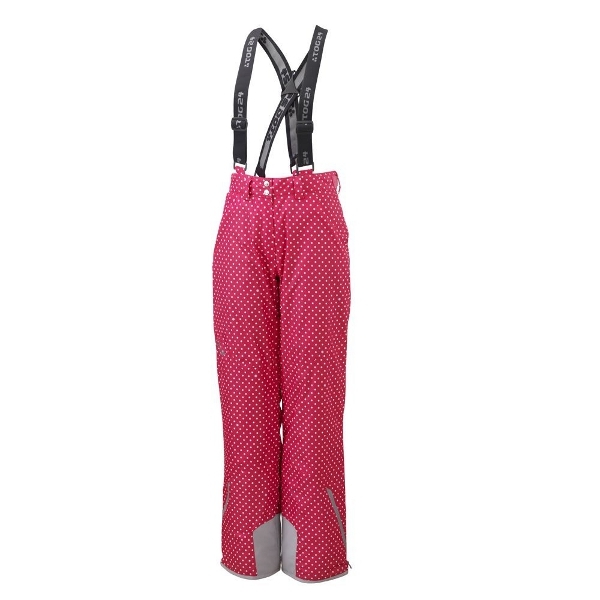 If black and white isn’t quite enough for you, the trousers also come in pink with white dots, and if you really love it, you can get the matching jacket, gloves and hat too. On from fashion, the thing I imagined would put me off about these is that they’re salopettes: as good as braces are for holding trousers up, for me it was never worth it for the hassle of going to the loo. How things have changed. These braces can be unhooked at the front by simple yet sturdy Velcro straps. Features-wise, the salopettes have two zipped, fleece-lined main pockets; ventilation zips on the inner thigh; zipped ankles so you can get to your boots slightly easier (the zips don’t make too much difference though); and Velcro/popper snow gaiters. They also have an adjustable waist, with the Velcro on the outside of the trousers and an extra zipped back pocket. The material’s called Milatex and it’s quite bulky, and fairly warm. All in all these are good ski pants at a good price, and the ones to pick if you really want to look cool.